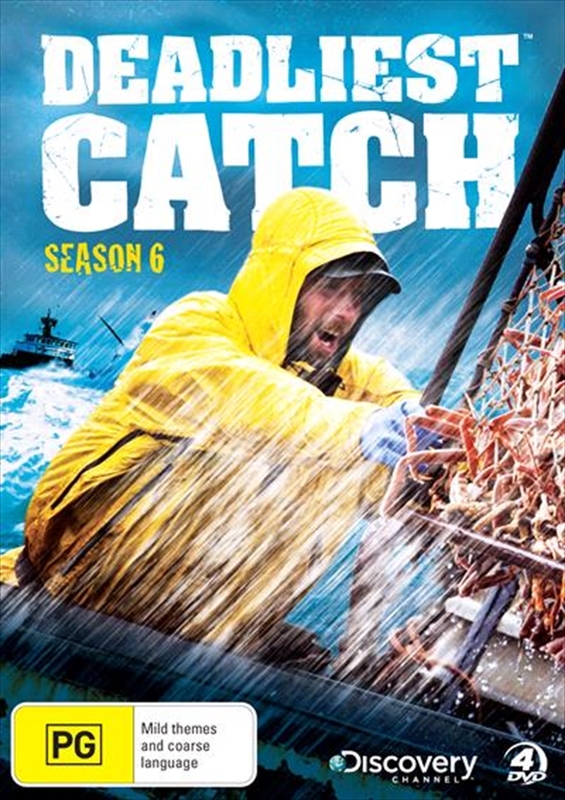 The Emmy Award Winning series Deadliest Catch returns for a sixth season, taking viewers deep into the Bering Sea with five skippers and their crews through the two toughest fishing seasons in the world - Red King Crab and Opelio Crab. Rough waves and fierce weather make the Bering Sea a difficult and dangerous place to do business. For the fishermen who work these waters, risk to life and limb is just another part of the job. Northwestern Captain Sig Hansen, a 30-year veteran and a third generation fisherman, will match skills against his old rivals, Phil Harris of the Cornelia Marie, the Hillstrand brothers of the Time Bandit, and Captain Keith Colburn of the Wizard. Joining the fray is Legendary Skipper, Wild Bill and his crew on the F/V Kodiak. This year, there's a fracture in the Bering Sea brotherhood as old allies become mortal enemies, and fishing turns personal. While some skippers rage against each other - another skipper fights a lone battle to stay alive and before this season is through, terrible tragedy will alter two young lives forever.